Women's high waisted skirt from MICHAEL MICHAEL KORS with an A-line silhouette. 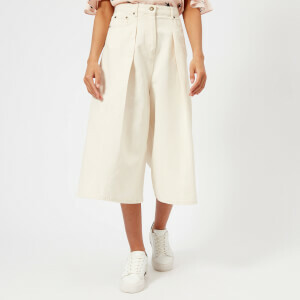 Crafted from a textured cotton blend, the midi skirt features side seam pockets, box pleat detailing and a side zip closure. Model is 175cm/5'9" and wears a size 6/UK 10.